Snapshot: In India, Maruti Suzuki will embark on a major product offensive over the next couple of years. The offensive will comprise of three important products straddling varied segments of the Indian car market. All three upcoming cars from Maruti Suzuki have been showcased at successive editions of the Indian Auto Expo, either in concept or in production forms. While the just-concluded 2014 Indian Auto Expo had Maruti Suzuki showcasing the SX4 Cross crossover and the Ciaz C-Segment sedan concept, the previous edition of the Auto Expo revealed the XA Alpha sub-4 meter compact SUV concept. All three cars will eventually be produced in India, with left hand drive versions also being built alongside the India-spec models keeping the export market in mind. The SX4 Cross was first showcased last year, at the Geneva Motor Show. The SX4 Cross crossover is the second generation version of the popular Suzuki SX4 model, that is sold as a crossover/hatchback in some parts of the world while other parts of the world receive this car as a sedan. The SX4 Cross is dimension-ally larger than the outgoing SX4 crossover, also known as the Fiat Sedici. In the Indian car market, the SX4 Cross is likely to sit above the SX4 sedan, but below the Grand Vitara SUV in terms of price and positioning. The SX4 Cross is likely to be sold in India with 1.6 liter naturally aspirated petrol and Fiat Multijet turbo diesel engine options. The 1.6 liter Multijet diesel motor on the SX4 Cross sold in India will represent the first instance of this engine being made available in India. The SX4 Cross’ petrol model will get a CVT automatic gearbox with 7 stepped shifts, in addition to a 6 speed manual gearbox. The diesel powered variants of the crossover will make do with a 6 speed stick shifter. 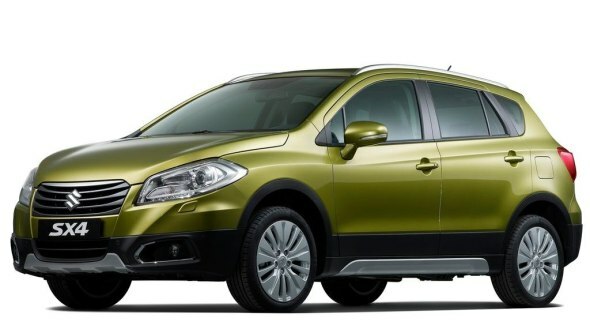 Both front wheel drive and all wheel drive versions of the SX4 Cross could be launched in India. Expect a late 2014/early 2015 Indian launch for this car. Currently, Suzuki assembles the SX4 Cross for the European car market at Magyar, Hungary. Maruti Suzuki will replace the tepid selling SX4 sedan with a new C-Segmenter in the form of the Ciaz. 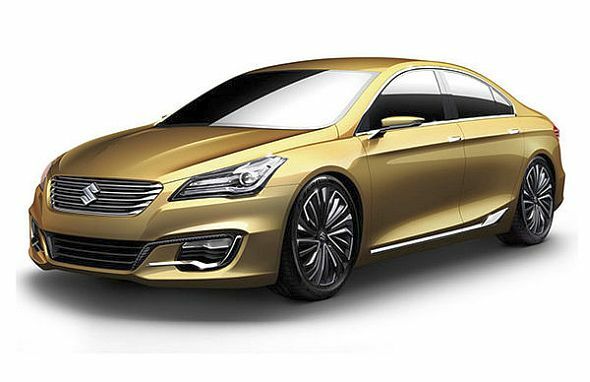 Showcased in concept guise at the 2014 Indian Auto Expo, the Ciaz is likely to hit serial production later this year. The Ciaz is based on the Ertiga platform (a modified Swift platform), and decidedly will share engines, transmissions, interiors and other aggregate bits with the hot selling MPV. Touted to feature interiors with high quality levels hitherto unseen on Maruti Suzuki cars, the Ciaz will represent yet another attempt from Maruti Suzuki to capture market share in the C-Segment sedan space. Maruti’s previous two attempts in the C-Segment sedan space have come a cropper with both the Baleno and the SX4 failing to find traction. Coming back to the Ciaz, the car will feature 1.4 liter K-Series petrol and 1.3 liter Fiat Multijet turbo diesel engine options. Transmission options on manual geared versions will consist of 5 speed units while the petrol powered variants will get a 4 speed automatic gearbox option. Expect prices of the Ciaz sedan to start from under the 8 lakh rupee mark. The XA Alpha compact SUV was first showcased at the 2012 Auto Expo, in concept form. Although another edition of the Auto Expo has elapsed, Maruti Suzuki is yet to put the much anticipated compact SUV into production. The car maker has firmed up plans of putting the XA Alpha into production sometime in 2015. The sub-4 meter product will b aimed squarely at incumbent market leader in the compact SUV space, the Ford EcoSport. The XA Alpha will feature a monocoque body and is likely to be offered with both petrol and diesel engine options. The diesel variant of the XA Alpha could dig into the new range of turbo diesel engines that Suzuki of Japan is developing for use in a range of cars spanning various segments. The new crop of turbo diesel engines from Suzuki are said to have capacities of 0,8 liters, 1.2 liters, 1.4 liters and 1.6 liters. Either the 1.2 liter or 1.4 liter turbo diesel mills could power the XA Alpha. The car is expected to be sold in front wheel drive and four wheel drive guises. Prices of the XA Alpha could start from around the 7 lakh rupee mark. « Volkswagen India to equip Polo and Vento with a semi-automatic (AMT) gearbox?